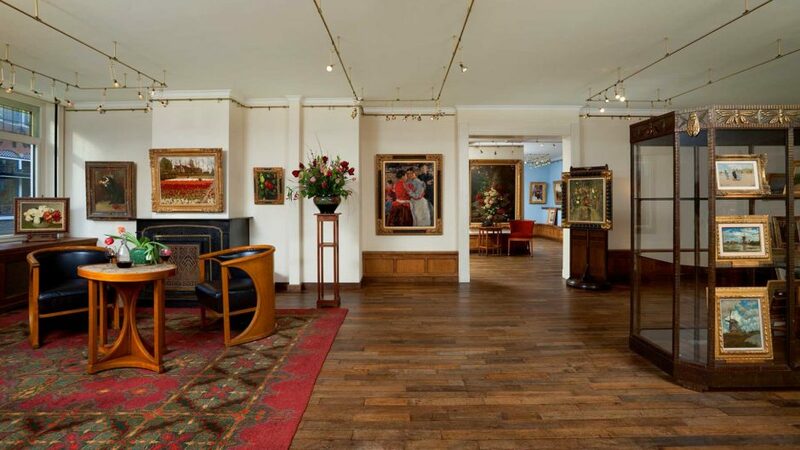 Simonis & Buunk Fine Art Dealers is a family business established in 1927 with three galleries in the centre of the Netherlands, on the Notaris Fischerstraat in Ede. For four generations we have purchased and sold paintings of high and middle-high quality. Prices range from € 1,000 to € 500,000. We have proceeded to acquire an excellent reputation in the area of 19th-century paintings, with special emphasis on Dutch Romanticism, the Hague School, Dutch Impressionists, Expressionists, Groninger Ploeg and CoBrA. In addition we have works by French, German, Belgian and English artists. You can also visit us for restoration, where we happily give free quotations and advice. Step into the world of Simonis & Buunk. Discover the collection of over 3,000 paintings, watercolours and sculptures, available to view in our exhibition in Ede. Everything is even more beautiful in real life. The extensive Simonis & Buunk collection of paintings and sculptures is presented in three buildings on the Notaris Fischerstraat in Ede. Each of these three exhibition spaces is decorated to suit the works of art on display. 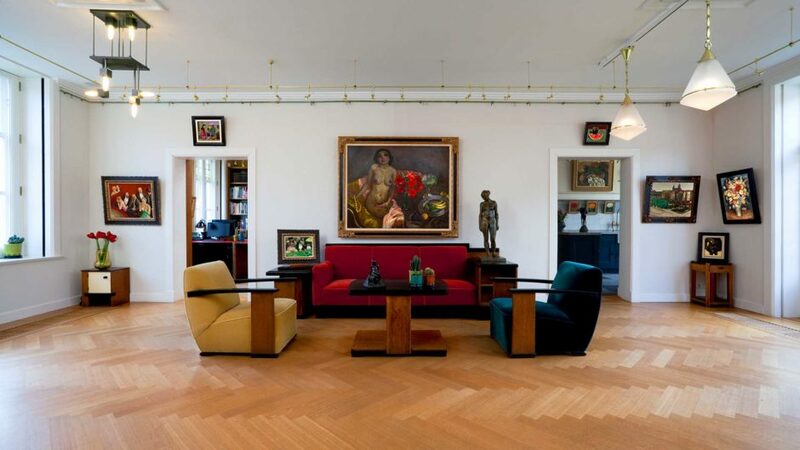 The interior design is a ‘gesamtkunstwerk’ in which everything goes together: the colour scheme, furniture, lamps, rugs and even the tableware. The three galleries are so different from one another it gives visitors the sense of entering a different world, enhancing their experience of the works of art. In addition to these ‘Three Worlds’, there is a fourth exhibition space: the sculpture garden behind the Fischer House. Paintings are made of natural materials. Light, moisture, dirt and heat can cause these to age. Damage and unskillful restorations can also affect the original state. Whatever the cause, in many cases it is valuable to have your artwork restored. Go ahead and request a free restoration quotation and recommendation from Simonis & Buunk’s restoration studio. 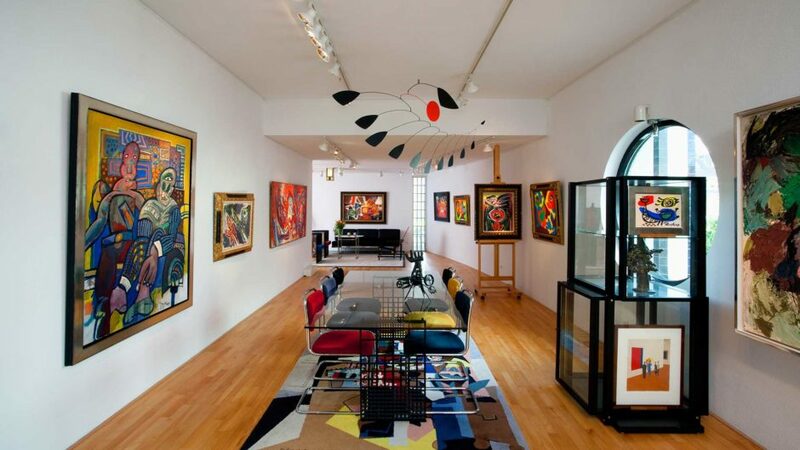 In 1984, Frank Buunk became a certified fine art valuer specialising in 17th-20th century paintings. He was 27 at the time, making him the youngest art expert in the Netherlands. He is recognised as such by Federatie TMV, the Dutch federation of certified appraisers, brokers and auctioneers in movable assets, and is internationally certified by Hobéon SKO. In 2015, his son Kas began studying to become a valuer, too. Simonis & Buunk offers high expertise and professional knowledge. We offer both verbal and written valuations. For all valuations, please first send some images by e-mail.